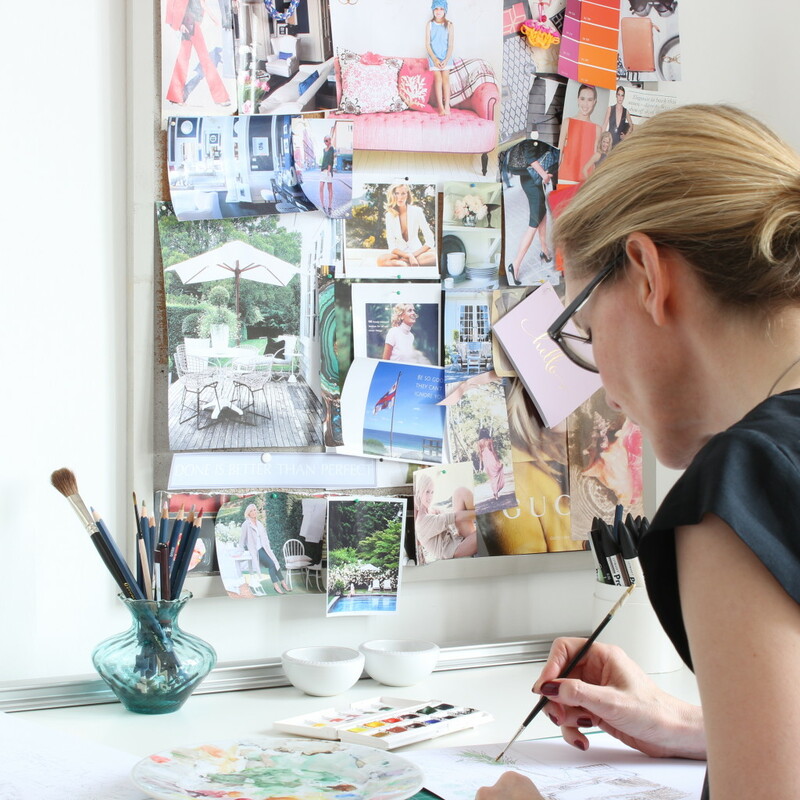 Do you have a inspirational place to work in your home where it’s a joy to spend time? With many more of us now working from home, having a dedicated space is a real asset. This is my workspace with a simple antique desk placed beside a window for the best light and I often keep my drawing board on top of it so it’s to hand. Importantly, I also have a changing pinboard of all my favourite images to keep the inspiration levels high so my clients get my best work! If you’d like help to design your home office or redesign any aspect of your home, please get in touch and let’s see how I could help. 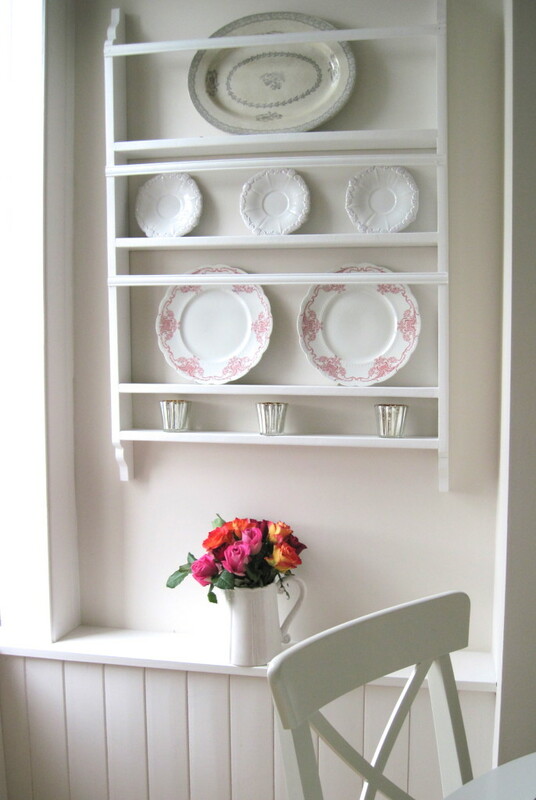 You will often see plate racks in Scandinavian and Provencal homes and I have always loved them as decorative features. So when it came to filling this wall space above a dining table in an Edinburgh apartment, I searched high and low to source the perfect one. My search proved fruitless so in the end I decided to design a plate rack specifically for the space. 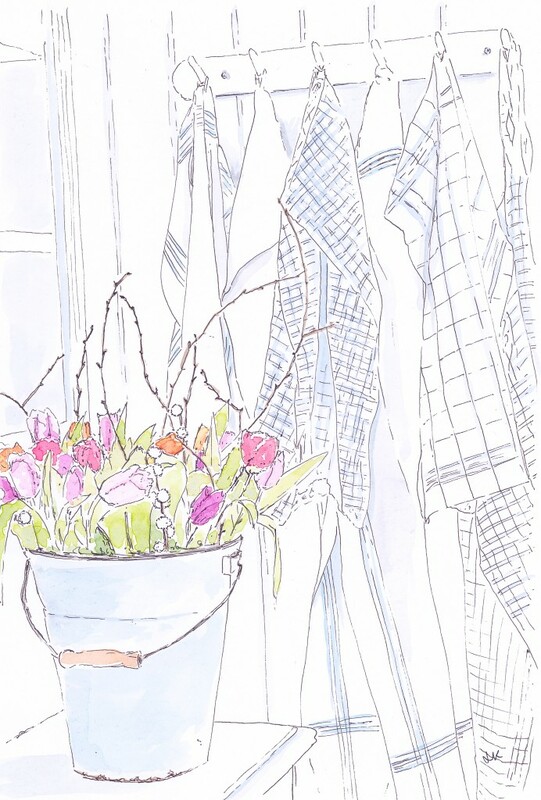 My eternally patient joiner Derek Carnochan (who had previously installed the New England style kitchen on the other side of the room) interpreted my drawing perfectly and the finished plate rack that he made ended up looking like it had always been there. If you would like further inspiration, I’ve started to gather images of plate racks on a dedicated Pinterest board and if you’d like help to design a plate rack or other bespoke shelving for your own space, I’d love to hear from you. I am a great fan of adding vintage or antique items to your home to add character and uniqueness. They also add a personal touch and I love the idea that the pieces you now own had a life in another home or setting. 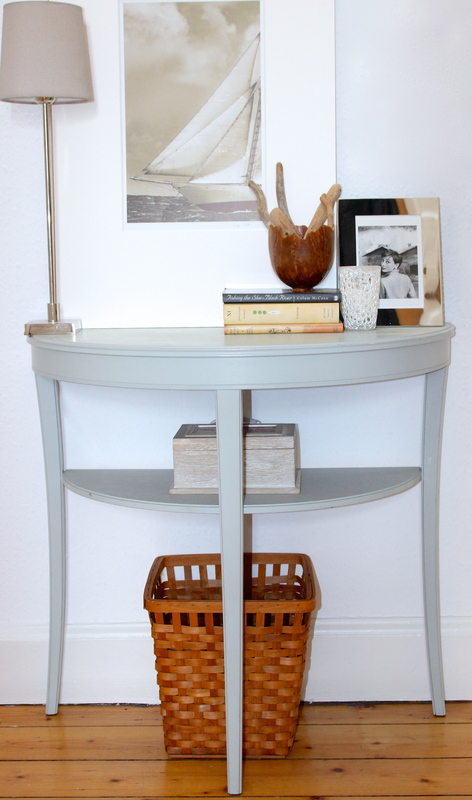 While I’d never advocate painting really good antique furniture, if you find a good basic piece with a shape that you really like but that’s not a great colour or is scuffed or marked, you can give it a whole new lease of life by painting it. I also recently bought a very pretty table with barley twist legs and really nice detailing around the edge and overlooked the fact that it was kind of wobbly because I loved the shape so much. So once I got it home, I realised I needed an expert to repair it for me and was really happy to find David Meek, a skilled restorer, who works here in Edinburgh. Once it has been brought back to life in a few weeks, I’ll share the before & after pictures here.